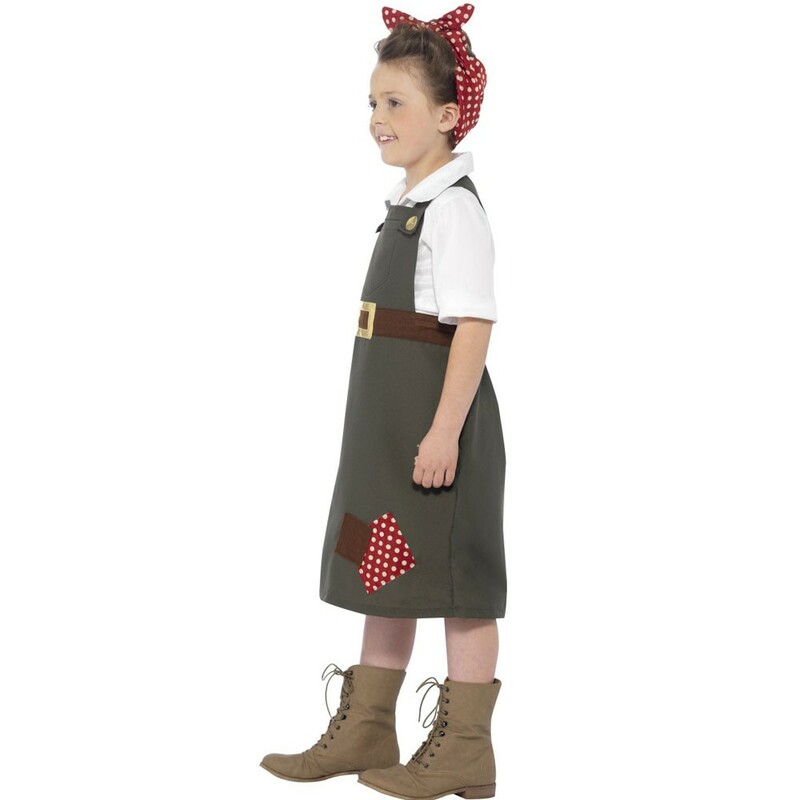 Perfect for any little girls who are going to a Historical themed fancy dress occasion, this Hard at Work Munitions Costume is sure to get you noticed. This costume comes complete with a Dress featuring an attached shirt, and a Headscarf. This beautiful khaki green dress features a printed chest pocket, an attached short sleeved White Shirt collar, a mock Brown belt with gold buckle, and an applique patch to the bottom of the skirt. 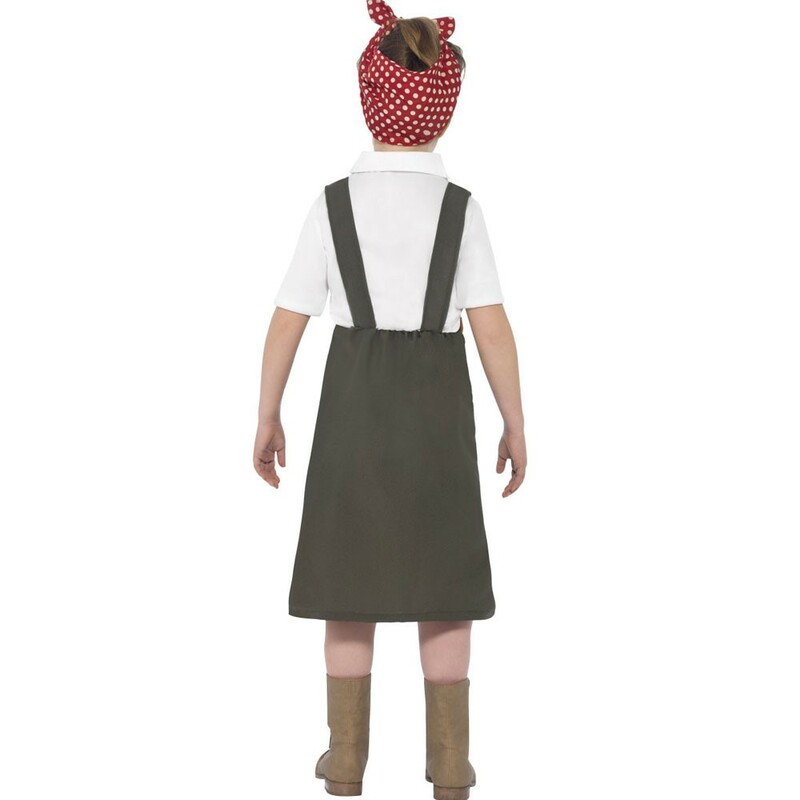 Combined with the Red and White polka dot Headscarf, this Hard at Work Munitions Costume is sure to transport you back in time to the Hard Working Land Girls era. 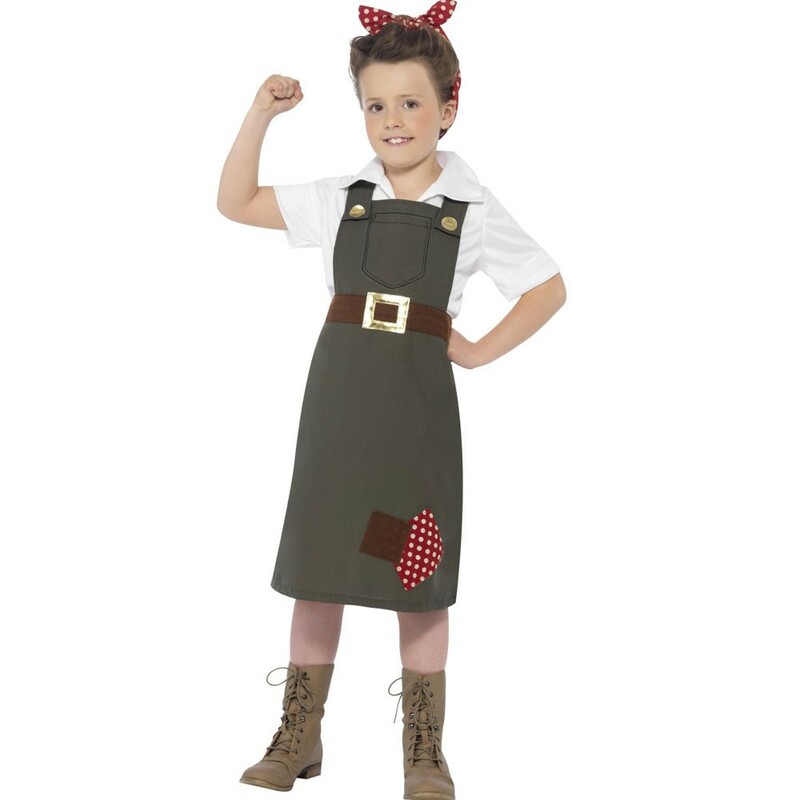 This fantastic Hard at Work Munitions Costume will suit a Historical Theme, World Book Day, or any other fancy dress occasion. Available in sizes Kids Small, Medium, and Large. A Hard at Work Munitions Costume including Dress with attached Shirt and Headscarf. Please note that the pictured accessories are not included.